Nearly 20 years after inventing micro-canning for the craft brewing industry, we’re still thirsty for more tasteful revolution. So we’ve expanded our canventional wisdom to shake up a new beverage frontier: canned coffee. Toronto, Canada’s Pilot Coffee Roasters has a similar rebellious streak. In 2016 Pilot became the first Canadian coffee roaster to serve nitrogen-enhanced cold-brewed coffee on draft. Last year Pilot decided to cut another new path and become the first roaster in Canada to pack nitro cold-brew coffee into cans. To make that move, Pilot counts on a new Micro-Automated Canning System (aka mACS and “max”) from Cask. With its advanced features and nimble ability to provide nitrogen dosing and fill an array of can heights, the mACS is the perfect system for Pilot’s trailblazing, java-powered efforts. What makes the mACS a dream machine for Pilot and other coffee makers? For starters, the mACS produces ultra-consistent liquid nitrogen dosing that can easily achieve 35 – 45psi consistent can pressure. 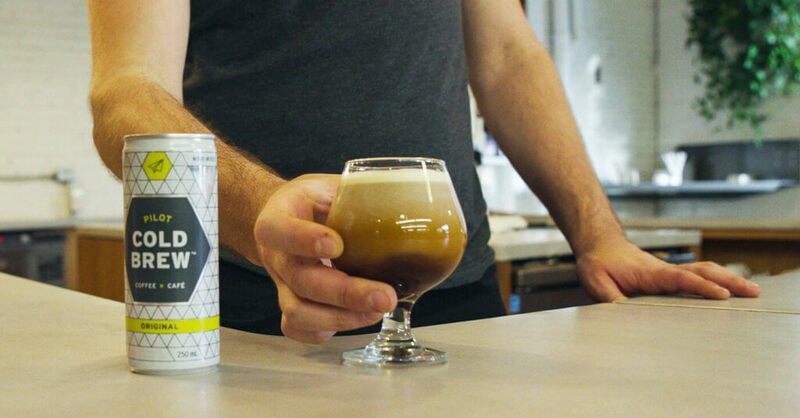 This ensures that each can delivers the cascading pour and creamy mouthfeel crucial for the nitro-coffee experience. To achieve that consistency, the mACS employs an index wheel design that creates a super consistent “nitro dose to seaming” time. A built-in algorithm automatically adjusts the index wheel to regulate the dose to seam time, ensuring even and consistent nitrogen dosing in every can. To further ensure rock-solid dosing and can pressure, the mACS has a lid slide mounted extra close to the seamer that shortens dose-to-seam time and reduces nitrogen burn off. The mACS’s cam-driven seamer adds additional peace of mind through relentlessly consistent seam formation. Okay, enjoy the video. Who needs a coffee?